Hello everyone! I hope you liked the past two Sleek paletes we've been swatching. Today we will have a look at the Sleek iDivine Sunset Palette. This palette, as its name implies, is full of colors that make up a sunset - oranges, reds, yellows. I guess this is just one of those palettes that aren't for me - I just don't have the skills required to put together red, yellow, and blue. I imagine that this palette, with its many variations on orange, red, and yellow, would be perfect for someone who likes to do gradient looks in this color - you'd have a whole range of shades to blend with. The good thing is, this palette doesn't do too shabbily in the quality department. Firstly, pigmentation, as you can see, is really quite good. It is almost on par with the Original palette, if not the same, and the shadows in the palette also have that soft, powdery quality that the original palette did. So quality-wise, I'd say this is pretty similar to the Original palette. Thus, as with the Original palette, I'd want to be careful when handling the palette, as the shadows might break easily, since they are so soft. Another thing to note is that most of the colors are shimmery - not shimmer overload, to be sure, but there's a shimmer. Personally I like this very much, I feel it adds some dimension to the colours, but if you dislike shimmer then perhaps this is not for you. Only two of the colours have huge glitter bits a la Urban Decay - and those are the second last and the third last in the second row. Otherwise, I have little to complain about when it comes to this palette. Fortunately, it's very different from it's sister Acid Palette, which seems to be a dud out of all the palettes I swatched. Where did you find these!?! I've been trying to russel one up for ages! Lovely swatches, btw. omg these look great! 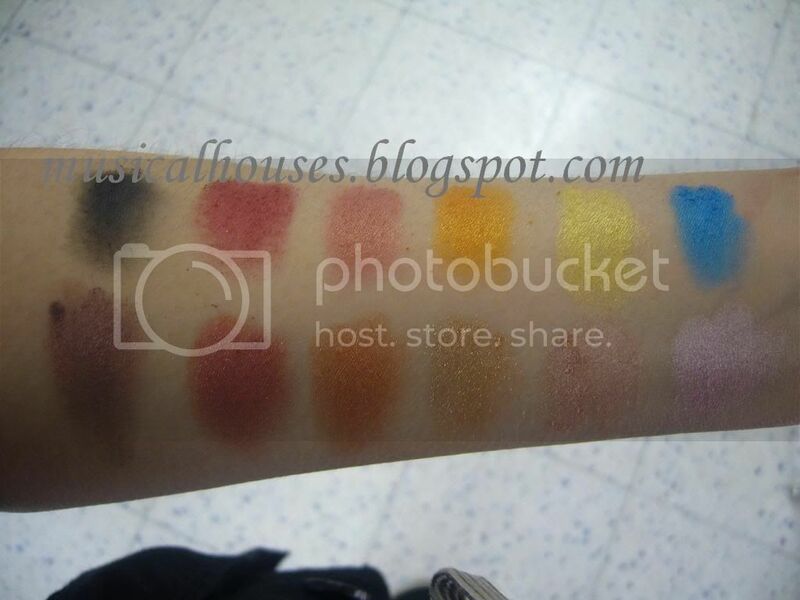 I was searching for swatches to drool over and landed here =) Great blog you have! Oh this is really pretty too, but I think I still like the Original best!